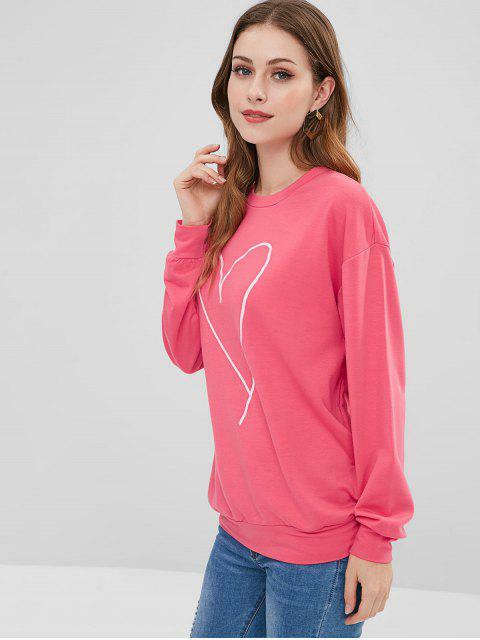 [54% OFF] 2019 Oversized Valentine Day Terry Sweatshirt In PEACH RED | ZAFUL ..
I’m normally a M but I sized up to an L as I wanted an oversized look (I’m 5’4 and 125lbs). Sleeve length is a bit long but I can wear with leggings. Very comfy! Super soft and comfy, this oversized sweatshirt features a tunic length and a heart graphic front. Just add skinny jeans for casual everyday ensemble and it is a layering essential you will reach for again and again.